Oh Mitt, this is just the beginning. 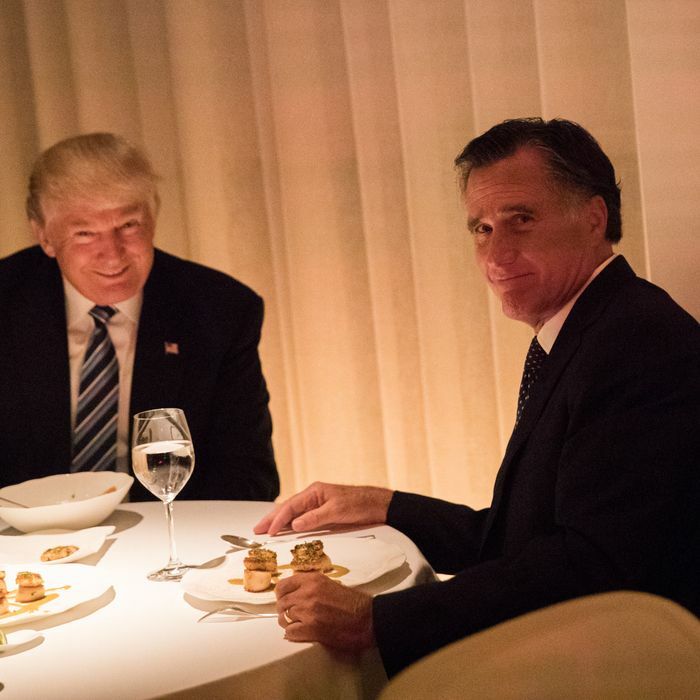 When he was running for president in 2012, Mitt Romney went to Trump Tower to secure the endorsement of Donald Trump, a reality-TV star who had publicly attacked him while flirting with the idea for launching his own White House bid. Yet it took Romney less than 40 minutes to accept Trump’s endorsement. Who knew Romney was so prone to self-sabotage?